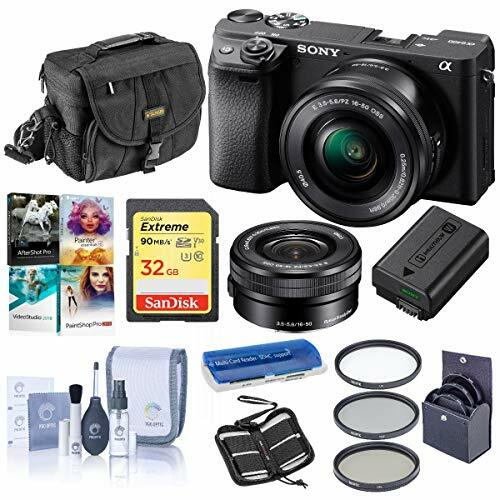 Snap vibrant, eye-catching photos with a 24.1 Megapixel (APS-C) CMOS Sensor using the built-in Electronic Viewfinder or Vari-angle Touchscreen LCD.Thanks to the fast and improved Dual Pixel CMOS Autofocus system, you can quickly lock focus on your subject to make sure you don't miss the action. See how the EOS M50 can easily deliver the high-quality photos and videos you've always imagined. 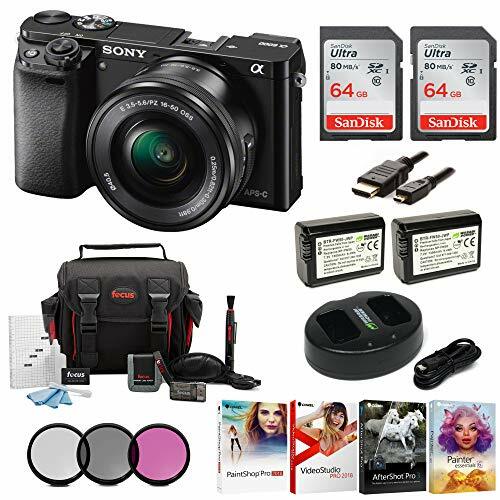 This small and powerful camera is prepared for a wide variety of lighting conditions with a built-in flash and ISO 100-25,600 for still images and ISO 100-12,800 for video. With an 11 frame per second frame rate, you'll never miss another shot. The revolutionary Enhanced Fast Hybrid autofocus is the extremely accurate combination of 179-point phase-detection autofocus and 25-point contrast-detection autofocus, which work together to get the perfect clarity for every shot. 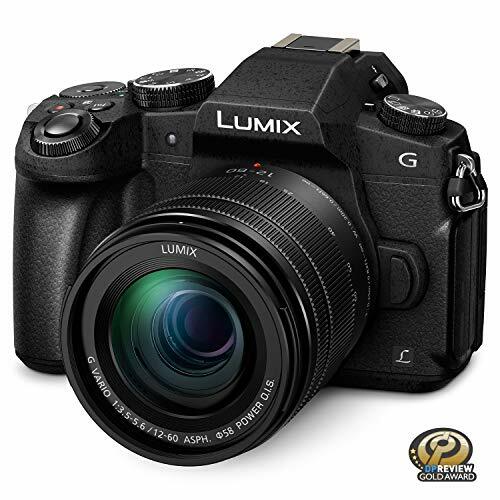 Optical image stabilization helps you capture clear images even under unsteady conditions. Ignite your creativity with the Sony Alpha a6000 Mirrorless Camera that features fast autofocus for capturing instant shots. 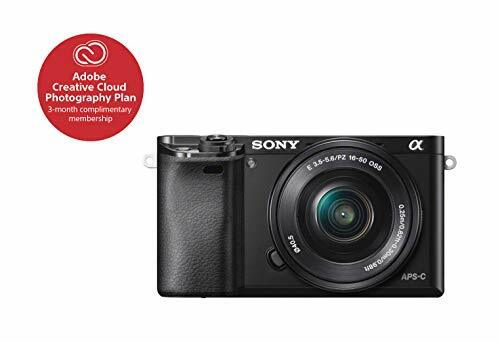 This compact mirrorless camera features a 24.3MP Exmor APS HD sensor that allows you to capture amazing shots for incredibly detailed enlargements. The 1.4M dot Tru-Finder OLED electronic viewfinder display shows you what will appear in your recordings including the effects of your camera settings so you can fine tune and preview your shots before shooting. 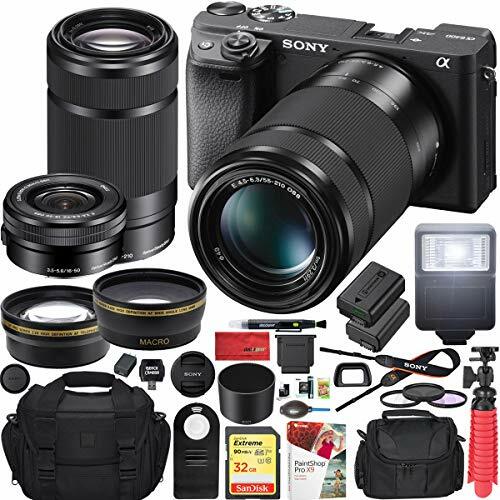 Moreover, the interchangeable lenses and E-mount system makes this camera more versatile than almost any other camera in the market. 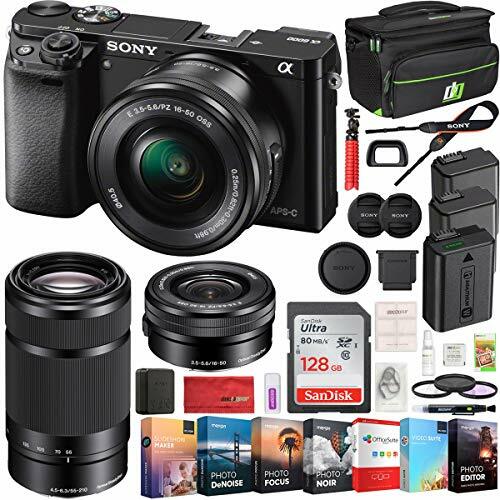 This camera comes with Sony 16-50mm OSS Lens. The camera features two dials on the top along with a rear-mounted control wheel that allows you to select your preferred shooting mode and camera settings. Additionally, it offers button customization which lets you shoot just the way you like for greater speed and convenience. It includes seven customizable buttons (includes two dedicated custom buttons) which can be assigned to any of the 47 functions. It features built-in Wi-Fi and NFC connectivity which makes sharing photos easier. 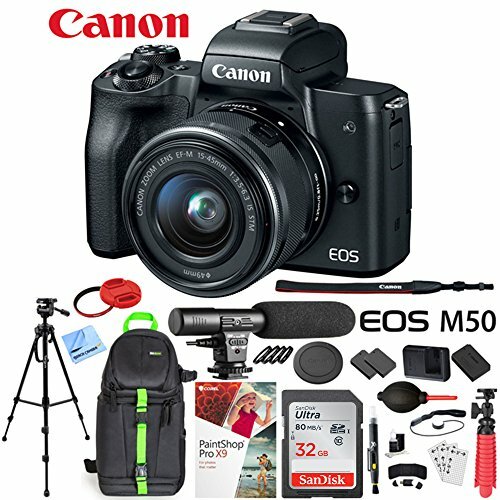 The Wi-Fi connectivity allows you to control your camera with your compatible smartphone or tablet and the NFC technology enables you to tap the camera to an NFC-enabled device and you are ready to shoot without wires or hassles. Test the limits of your creativity with the premium mirror less camera that s focused on speed. Every artistic shot you take-from fast-action to candid-benefits from 24.3MP detail and the world s fastest autofocus. 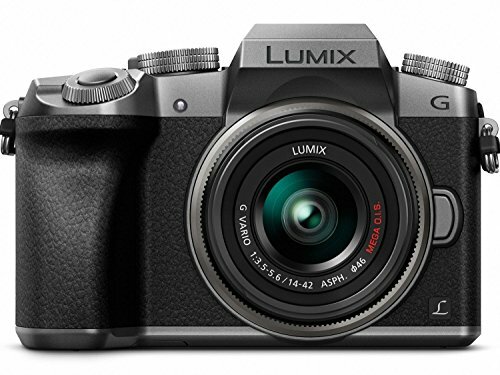 For capturing crucial moments that go by in a blink, the 6000 can shoot 11 frames per second. It s compact and easy to use, too. Two quick-access dials let you change settings on the fly. Very intuitive. 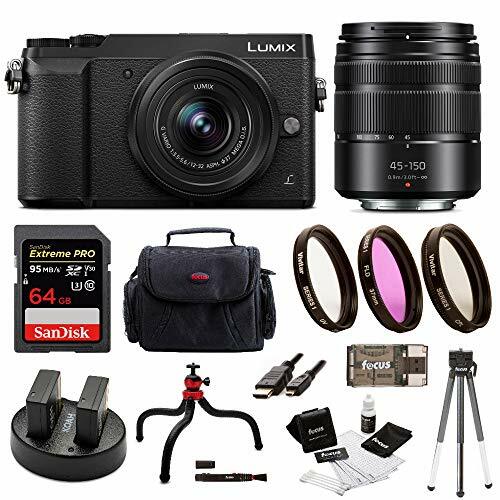 The professional-grade Panasonic LUMIX 4K Digital Camera DMC-G7KK accepts over 24 compact lens options built on the next-generation interchangeable lens camera (ILC) standard (Micro Four Thirds) pioneered by Panasonic. 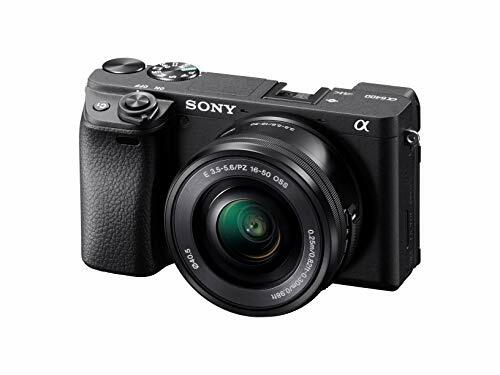 Its mirrorless design enables a lighter, more compact camera body while also offering cutting-edge video, audio, creative controls, wireless, intelligent-focusing and exposure technologies not possible with traditional DSLRs. 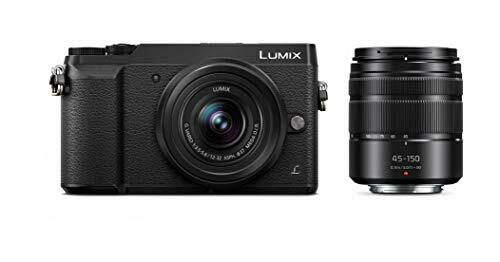 With the exclusive LUMIX 4K PHOTO (~8MP, 30/60 fps), simply pause that perfect moment from video to produce printable high-resolution photos. A high-resolution 17.5mm, 0.7x OLED eye viewfinder (2,360K-dot) matches up to exactly how you intended to see the image even under direct sunlight. For connectivity convenience, the G7 includes 3.5mm and 2.5mm microphone & remote ports, USB 2.0 and a micro-HDMI (Type D) terminal. The G7 can be combined with the DMW-FL580L External Flash, the DMW-MS2 Stereo/Shotgun Microphone and many other accessories. 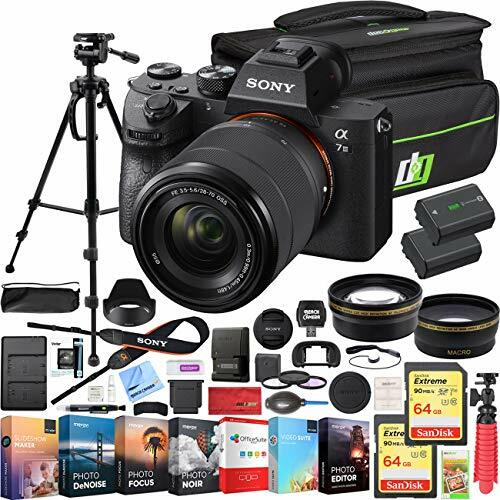 It s also compatible with newer BUS Class UHS-I/UHS-II SDXC/SDHC SD cards capable of storing high-resolution 4K videos and meeting the demands of 4K Photo and RAW mode burst shooting. 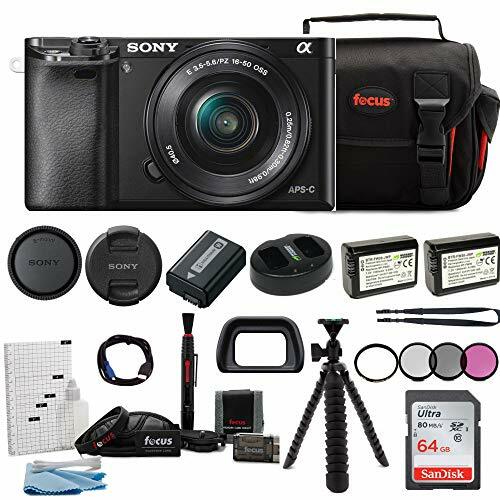 Ignite your creativity with the lightweight Sony Alpha a6000 Mirrorless Camera that features fast autofocus for capturing instant shots. 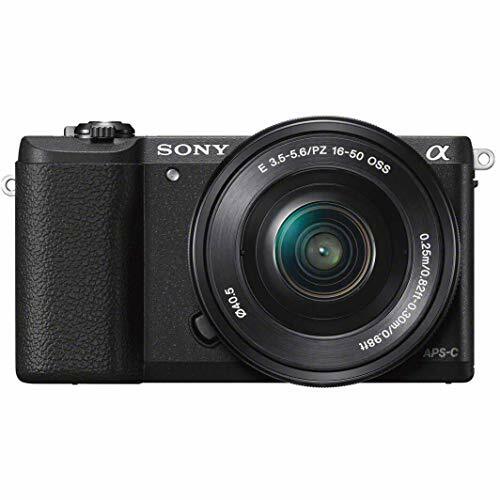 It is a super-compact mirrorless camera features a 24.3MP Exmor APS HD that allows you to capture amazing shots for incredibly detailed enlargements. 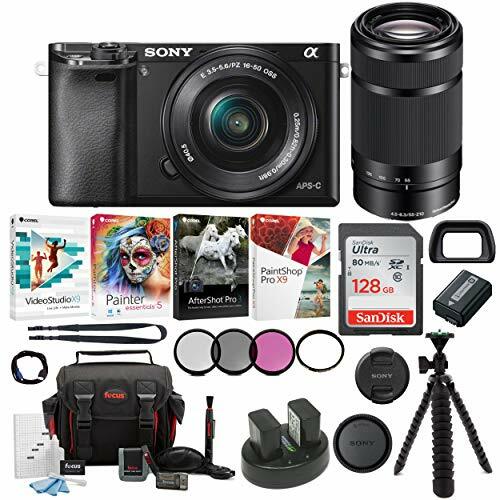 The interchangeable lenses and E-mount system makes this camera more versatile than almost any other camera on the market. 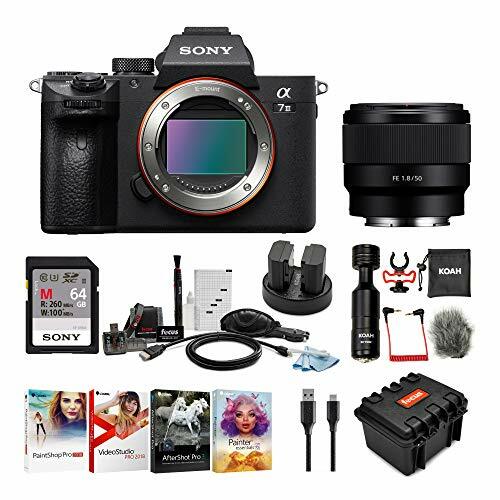 This camera comes with Sony 16-50mm OSS Lens. It has two dials on the top along with a rear-mounted control wheel that allows you to select your preferred shooting mode and camera settings. Button customization lets you shoot just the way you like for greater speed and convenience. You can assign any of 47 functions to any of 7 buttons (including two dedicated custom buttons), and assign up to twelve functions to the Fn button for quick access. The camera's viewfinder display shows you what will appear in your recordings including the effects of your camera settings so you can fine tune and preview your shots before shooting. 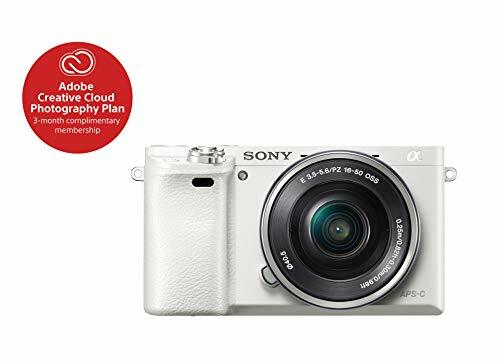 This camera features built-in Wi-Fi and NFC connectivity which makes sharing photos with your loved ones easier. The Wi-Fi connectivity allows you to control your camera with your compatible smartphone or tablet. The NFC technology enables you to tap the camera to an NFC-enabled device and you are ready to shoot without wires or hassles. Create with confidence with the stylish Fujifilm x-a5. Sporting a retro design, it offers a host of features including a 180 Degree tilting rear LCD screen, built-in Bluetooth technology and an extended battery life, with up to 450 frames possible per charge. When combined with the new fujinon xc15-45mmf3.5-5.6 OIS PZ, the x-a5 weighs just 496G, making it the lightest camera-zoom kit lens combination in the x series. 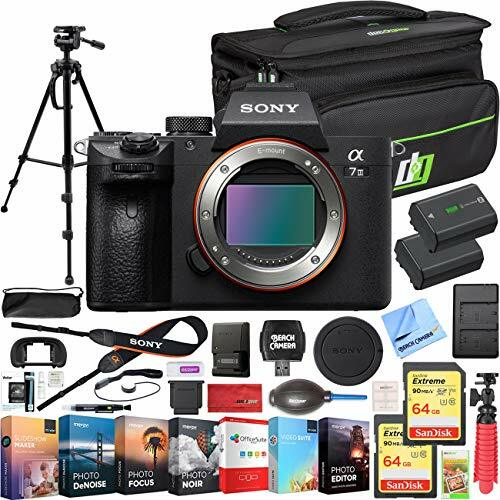 It boasts a powerful 24.2MP APS-C sensor equipped with a Phase detection autofocus system, and a newly developed image processing engine that offers a processing speed 1.5 times faster than previous models. 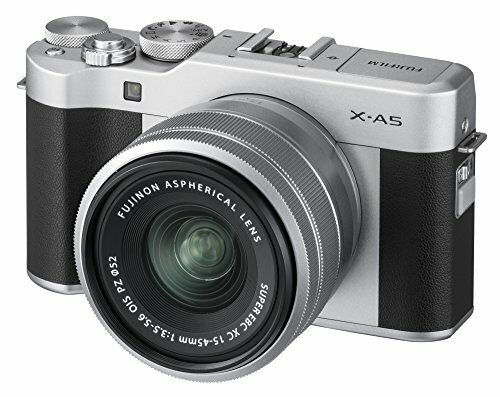 Combined with Fujifilm s renowned outstanding image quality with the company s proprietary color reproduction technology, the x-a5 is compact, stylish and portable making it the ideal companion for everyday photography. 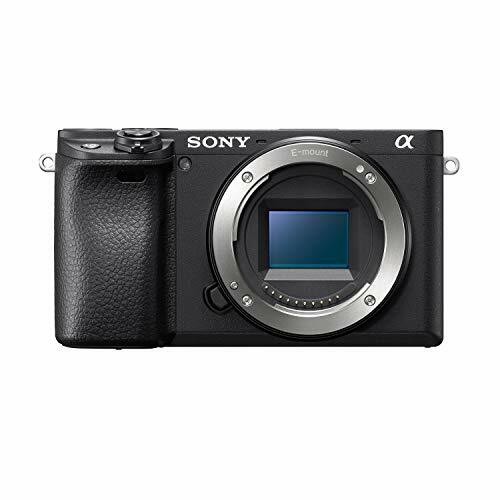 GRAB THE BEST OF LIFE: Despite its compact size and light weight, the a6400 delivers speedy performance and a range of features you'd expect from a full-frame model. Whether you're taking still shots or movies, creative compositions or everyday selfie shots, you'll enjoy beautiful images that you'll want to share, on the go. UNPARALLELED AF PERFORMANCE IS THE KEY TO BEAUTIFUL SHOTS: Fast and accurate autofocus lets you capture fleeting moments in stunning detail, thanks to a combination of innovative technologies. A total of 425 phase-detection AF points work in conjunction with contrast-detection AF to achieve a remarkable 0.02 sec speed, while High-density AF Tracking Technology follows even erratically moving subjects. 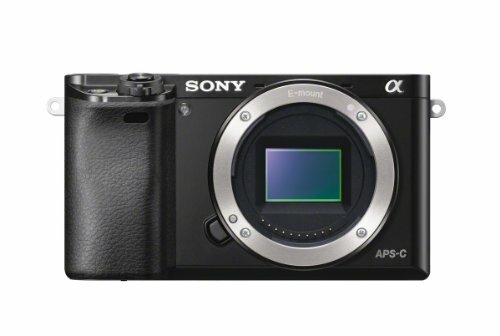 AN INNOVATIVE IMAGE-PROCESSING SYSTEM: The camera's APS-C size, 24.2-megapixel Exmor CMOS sensor provides a wide sensitivity range and excellent low-noise performance. In conjunction with the new-generation BIONZ X image processing engine, it delivers beautiful, high-resolution images with superb image clarity and texture reproduction. EXTRAORDINARY IMAGE QUALITY, LOW NOISE AND WIDER ISO RANGE: Maximum standard ISO sensitivity has been increased to ISO 32000 (expanded to ISO 102400 for stills), while improved imaging algorithms, detail reproduction technology and area-division noise reduction result in more realistic textures, better detail in shadow regions, and more lifelike colors, including human skin tones and natural plant colors. Refined for extraordinary image capture control and quality, the a7 III has everything you need. 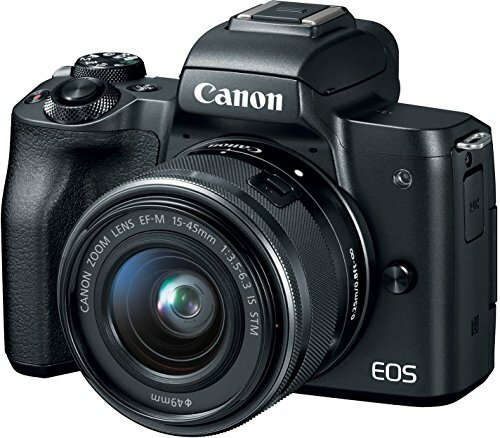 The newly developed 24.2MP back-illuminated 35mm full-frame Exmor R CMOS image sensor is paired with a front-end LSI that effectively doubles the readout speed of the image sensor, as well as an updated BIONZ X processing-engine that boosts processing speed by approximately 1.8 times compared to the 7 II. This results in high sensitivity with low-noise performance and wide 15-stop dynamic range. 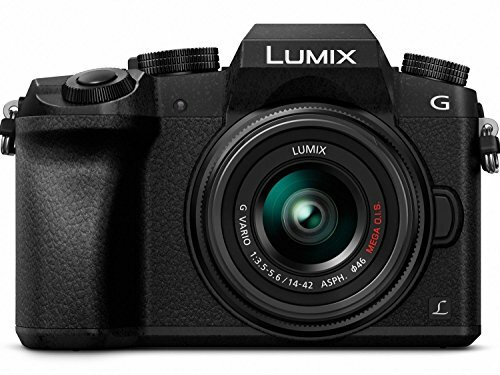 It also has the ability to output 14 bit RAW format even when shooting in silent or continuous mode. Nothing less than spectacular images. Weighing in at less than 7 oz (192 g), the new lightweight FE 50mm F1.8 "normal" prime lens delivers an outstanding blend of performance, compactness and value, making it a perfect choice for hobbyist photographers and videographers looking to experience the benefits of a wide aperture prime lens at an attainable cost. The lens features a new optical design with an aspherical element that effectively compensates for all forms of aberration, resulting in beautiful, crisp imagery. 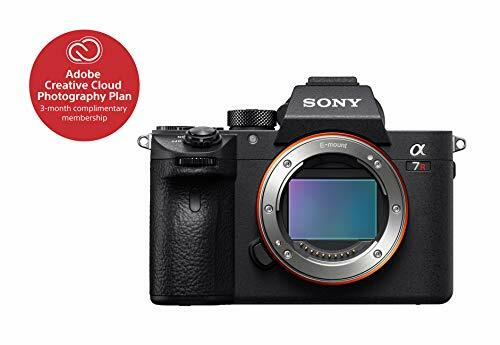 SONY A7 III MIRRORLESS CAMERA: The newly developed 24.2MP back-illuminated 35mm full-frame Exmor R CMOS image sensor is paired with a front-end LSI that effectively doubles the readout speed of the image sensor, as well as an updated BIONZ X processing-engine that boosts processing speed by 1.8 times than the propr model. 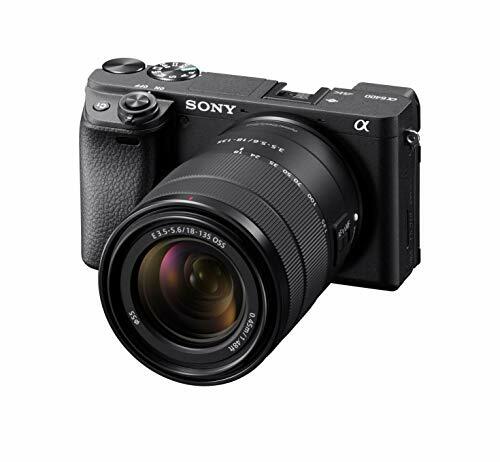 SENSOR: The newly developed 24.2MP back-illuminated 35mm full-frame Exmor R CMOS image sensor results in high sensitivity with low-noise performance and wide 15-stop dynamic range. 50MM LENS: The new lightweight FE 50mm F1.8 normal prime lens delivers an outstanding blend of performance, compactness and value, making it a perfect choice for hobbyist photographers and videographers looking to experience the benefits of a wide aperture prime lens at an attainable cost.